If this writer could not resist the temptation of employing the much-loved Men At Work ‘Down Under’ song reference in this post’s title, then you too will hopefully not resist reading the current edition of the ICPA External Prison Oversight and Human Rights Network newsletter with its Australian OPCAT focus. As featured in an earlier article, with a spotlight on the current OPCAT implementation process in Australia the newsletter has considerable relevance for the Canadian context with its lessons of good related practice. This fact rings especially true at a time when Canadian government authorities at all levels have apparently been discussing potential OPCAT implementation among themselves, albeit lamentably with practically no one else, not least civil society. As a fellow federal state, the parallels between Australia and Canada are not insignificant. While Australia has 9 jurisdictions (one federal, six state and two territorial in scope) compared with Canada’s 14, the distinct challenges of implementing the OPCAT in a multi-jurisdictional state structure still have to be met. Maitland Gaol by OZinOH (2007). Even though reservations have been expressed in these pages about Canada adopting a multi-body approach to OPCAT implementation (please see the Canada OPCAT Project discussion paper, Instituting an NPM in Canada), Australia appears to be forging ahead in this direction, emulating countries like the United Kingdom, New Zealand and the Netherlands. Australia ratified the OPCAT in December 2017, postponing the obligation to institute an NPM by up to three years through a Declaration under OPCAT Article 24. As a result, the country has until January 2022 at the latest to put in place its NPM. While a similar auditing process took place in Canada in 2017-2018, relatively little information about it has been allowed to seep into the public domain. Ground Floor Maitland Prison by Bill Collison (2012). In contrast, according to Professor Naylor, in Australia the process of identifying places of detention and establishing a baseline of the extent to which existing oversight bodies are currently OPCAT-compliant is being carried out by an arms-length government body designated to coordinate OPCAT implementation in the country, the Commonwealth Ombudsman. Unlike in Canada, this study is to be made public in an upcoming 2019 report. 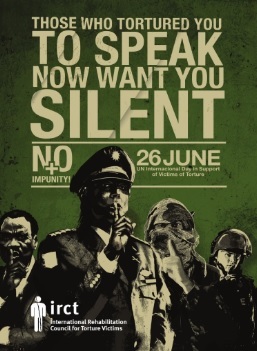 Contemporaneously the Australian Human Rights Commission has been conducting a broad constituency consultation into the role of civil society in the implementation of the OPCAT as well as the later operation of the NPM (please visit the institution’s OPCAT Consultation Page). If Australia is willing and able to open up its OPCAT consultation process, Canada’s closed, locked-down process remains all the more perplexing. In a nutshell, even though the Australian OPCAT consultation process has not been without certain criticism, it remains light years ahead of Canada in terms of its openness, transparency and inclusiveness. Professor Naylor’s article offers an excellent overview of this process up to the current point in time. “These next two years are crucial times for the advancement of correctional oversight in Australia. Effective and substantial compliance with the OPCAT, in the fitting words of the Australian Human Rights Commissioner, Ed Santow, ‘…could be the single most positive development this decade in improving conditions in all Australian places of detention.’ State and Territory governments will need to turn their attention to the requirements of OPCAT. They will need to consider the most suitable existing agencies and what resourcing and legislative requirements will be necessary for them. Thus, OPCAT ratification is being used as a moment of introspection by the government authorities and certain existing oversight bodies, which is most encouraging. Light in the Darkness by Drew Douglas (2007). Citing several so-called pilot OPCAT investigations undertaken from 2017 onwards, the author brings to life Steven Caruana’s key point that the OPCAT can be harnessed to improve and enhance existing oversight activities on the part of detention monitoring bodies. Once again, we see the positive influence of the OPCAT instrument as an international point of reference for best detention monitoring practice. In other articles more operational accounts are offered of other existing Australian detention monitoring bodies, including the Office of the Inspector of Custodial Services in New South Wales, South Australian Ombudsman Office, and the Chief Inspector of the Queensland Corrective Services. All of these bodies may feasibly play a future role as part of Australia’s NPM. Port Arthur (Tasmania) by Andrea Schaffer (2010). With less than three years to put in place an NPM, the Australian OPCAT implementation process appears to be moving steadily forward. More impressively still, Australian civil society has succeeded in establishing an informal OPCAT network to coordinate their respective activities, to closely shadow as well as to feed into the on-going OPCAT consultation process, to which several of the above contributors belong. While no analogue civil society network currently exists in the Canadian context (bar this creaking website), this might be another best practice to be drawn from the Antipodean colleagues. Though the task of re-purposing a sizeable number of existing monitoring bodies as the future NPM should not be taken lightly, several such oversight bodies in Australia are clearly using the OPCAT as central point of reference against which to gauge and recalibrate their existing inspection activities. In itself, this process of reflection appears to have been an important outcome of the OPCAT implementation process, despite there being much work ahead in this respect. Yet none of the above would have been possible without a reasonable degree of willingness on the part of the Australian authorities to open up the domestic OPCAT process to discussion – crucially with civil society. Gloomily, as previously stated, such openness and inclusiveness has been almost entirely lacking in Canada, despite international recommendations and advice to this end. This impenetrability and opacity aside, the OPCAT discussion process Down Under remains an invaluable benchmark of how such a national discussion might be conducted in future in Canada. It goes without saying that we wish our impressive Australian colleagues the very best of luck with these crucially important torture-prevention endeavours. 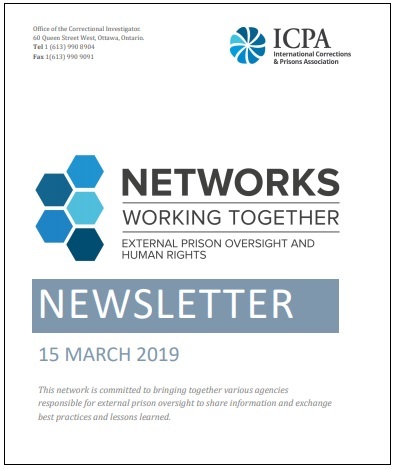 The next installment of the ICPA Network newsletter is scheduled for September 2019 with the featured country jurisdiction of Argentina and the featured topic of “Strengthening our Correctional Cornerstones: Rights, Dignity, Safety and Support.” Persons interested in contributing an article should contact the Office of the Correctional Investigator. Read an earlier article based on the current newsletter titled Critical Expert Focus on Solitary Confinement. Listen to Steven Caruana talk about the Australian OPCAT process on C3R radio.